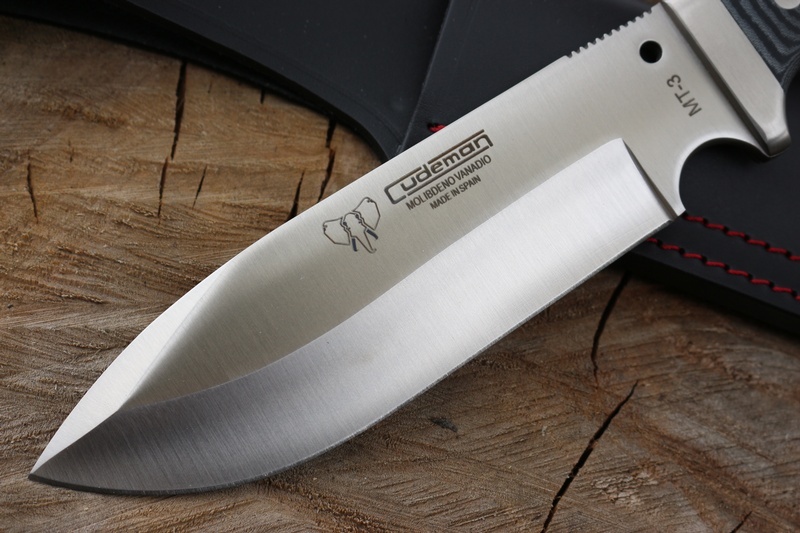 Quality larger Survival and Bushcraft knife from Cudeman of Spain. The 5mm spine, full broad tang, heavy stainless steel bolsters and stainless pins gives great strength. 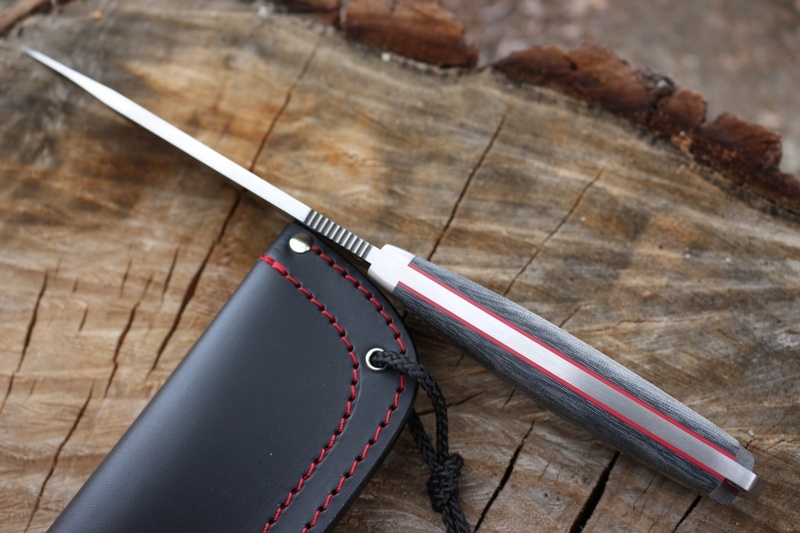 The overall balance of the knife is excellent and the deep choil allows for fine work. The handle shape and length is great for a variety of grips and the steel is durable and strong. 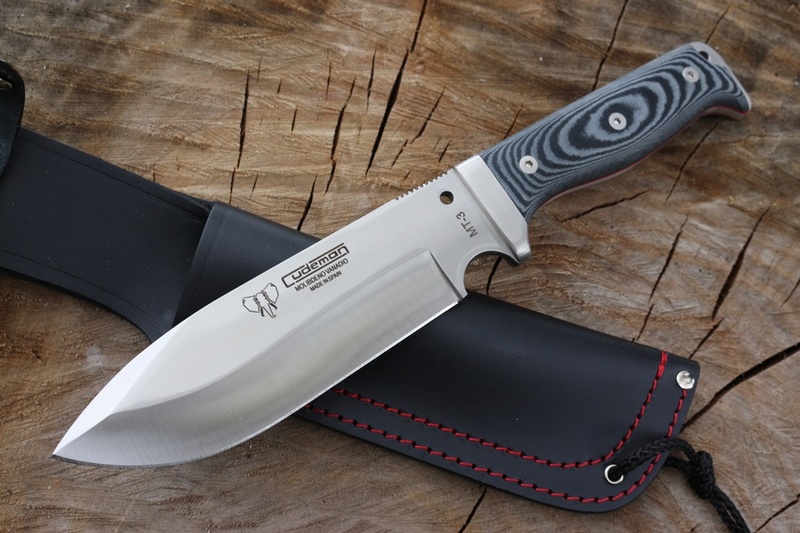 An excellent Bushcraft and Survival Knife. Made of the MOVA steel 57HRC. 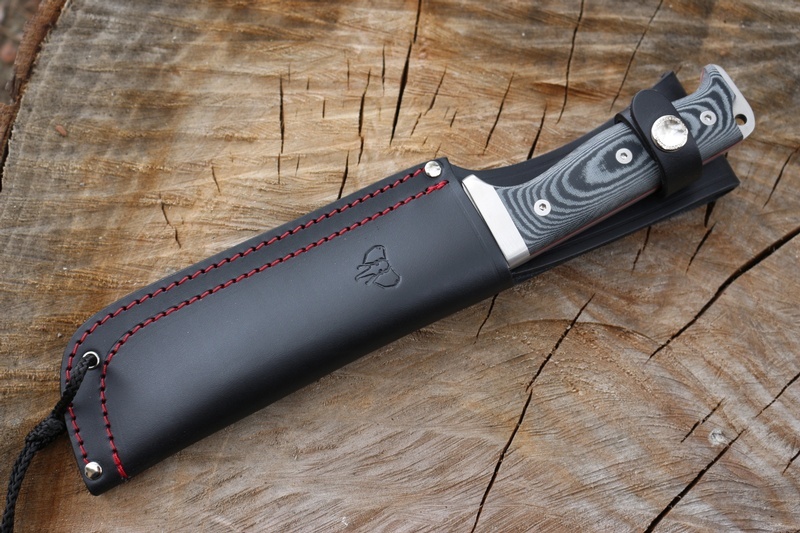 Comes with Black leather sheath. 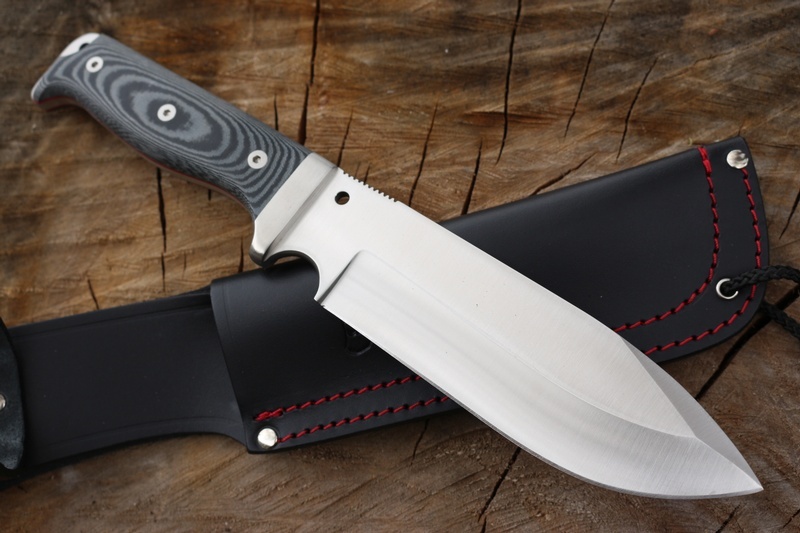 Purchase through PayPal by using the "Add To Cart" button above or use the form below to order the MT3 Bushcraft Survival Knife Micarta . Feel free to contact us if you have any questions about the MT3 Bushcraft Survival Knife Micarta .